In the nineteenth-century, some of the areas around Dublin city were called ‘townships’. They were like small towns in themselves, each with their own town hall and town commissioners (nowadays these would be called councillors). The commissioners had to look after such things as lighting, water supply, sewage and drainage and the building of roads and houses. 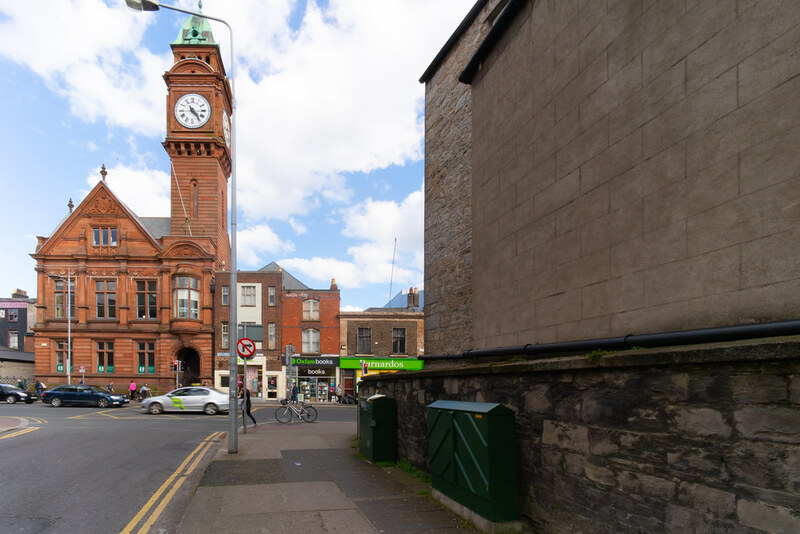 Rathmines had become one of these townships in 1847 and the Rathmines commissioners felt they needed a place where they could meet and conduct their business. Their first house was at 71 Rathmines Road, so it really became the first town hall. In 1880 the township of Pembroke which was close by built a new town hall. 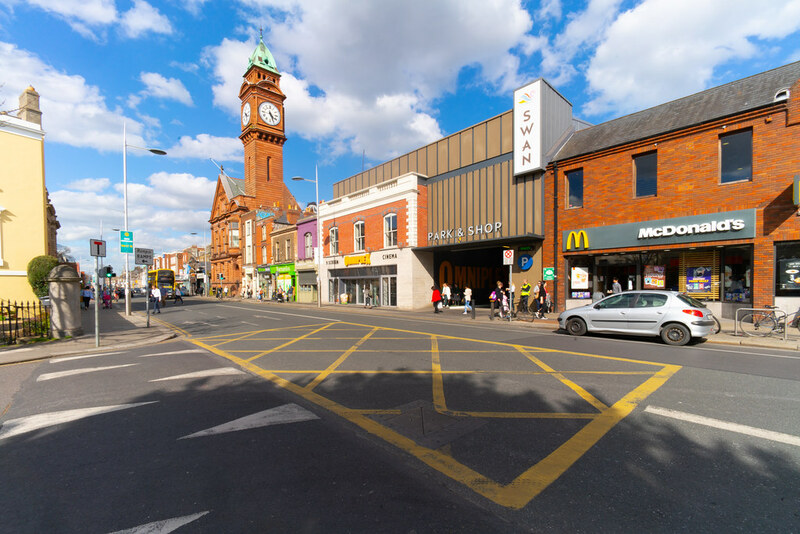 Well the Rathmines commissioners, who were very proud of the job they were doing in their area, thought they should have just as good a building or even a better one. Work on Rathmines Town Hall began in 1895 on the site of the previous town hall. The commissioners asked one of the best-known and respected architects of Ireland, Sir Thomas Drew, to design this building. He put up a fine building of red sandstone and brick with a bay window on the first floor. But the most famous feature was the high clock tower, which could be seen from afar. The clock on the tower was made by a local firm called Chancellor and Son. They claimed they could beat any English and Scottish company so they got the job. The clock has four faces, one for each side of the tower. Before the clock could be run with electricity, the four sides would often show different times so the clock was called ‘four-faced liar’. The town hall had a boardroom where the town commissioners would hold their meetings. There was also a gymnasium, a kitchen and a supper room (other people could hire this room out). There was an assembly hall for meetings which could fit 2,000 people. It had a stage and a room for an orchestra. Apart from being used for council meetings, Rathmines Town Hall also became a centre for social life in the area with concerts, dances and other events. Percy French, who wrote many well-known songs about counties in Ireland and who had his own theatrical company, gave many performances in the town hall and one of the first moving films made by a man called Edison was shown here in 1902.